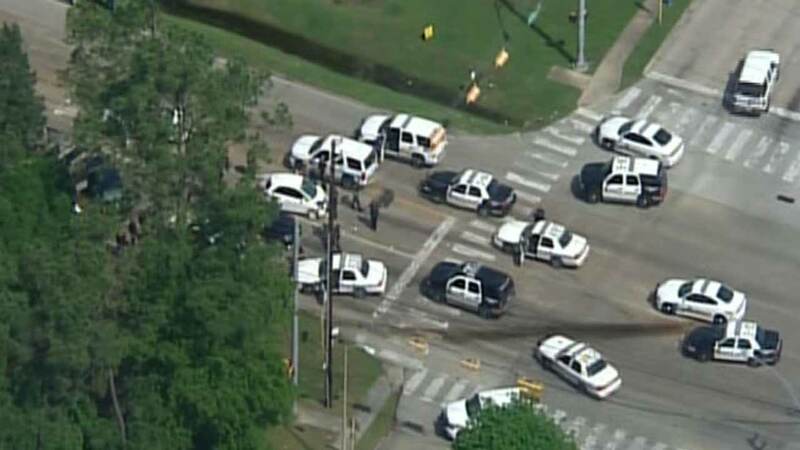 HOUSTON (KTRK) -- A man who led police on a high speed chase and pretended to have a child in the car with him was shot to death as the chase came to a crashing end. The pursuit began at about 10:40am Wednesday when the driver of a blue Chrysler 300 fled during a traffic stop. Authorities say police tried to pull over the driver for "suspicious activity," including unsafe lane changes. 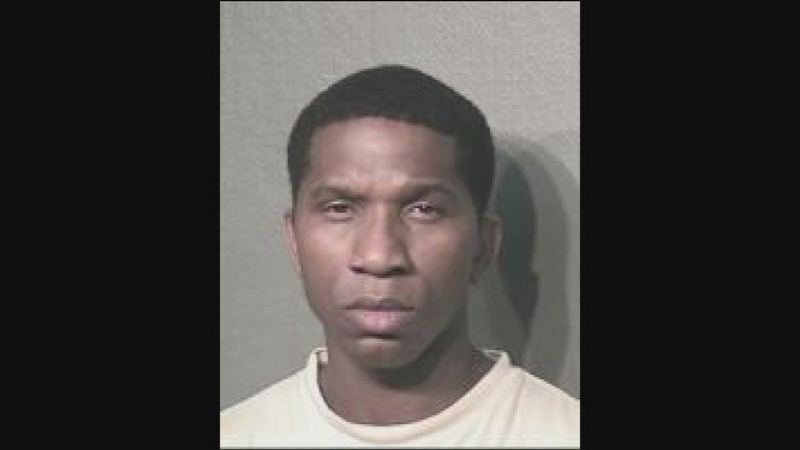 "During the chase the suspect called 911 and was telling the dispatcher that he had a child in the car and that he would threaten to harm that child if officers attempted to pull him over or stop him," said Deputy Thomas Gilliland, spokesperson for Harris County Sheriff's Office. The Wake County Board of Education announced Wednesday that Cathy Moore would be the next superintendent of the Wake County Public School System. Police say the suspect, Frank Ernest Shephard, III, was alone in the car the entire time, and his claim of having a child the car with him was false. That's when Shephard got out of the car, but as he reached back inside the vehicle, officers opened fire, fatally striking him. Police say 10 to 12 shots were fired. 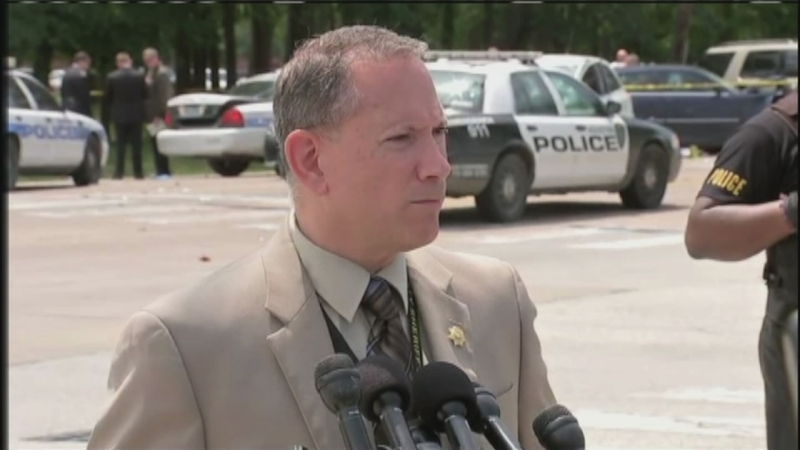 "He was given commands to show his hands and come out of the vehicle," said Deputy Gilliland. "As officers approached after the initial contact of the wreck, the suspect exited the vehicle and stood up, came back towards the officers, then turned around and reached back inside the vehicle. At this point, the top part of his body was hidden inside the vehicle. 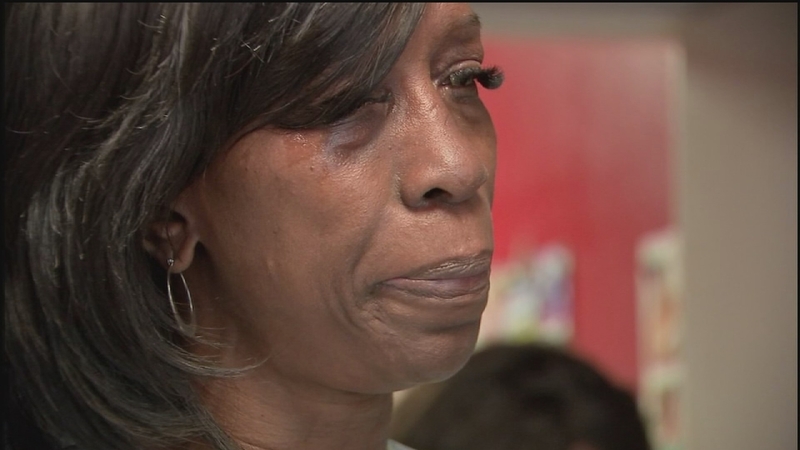 Fearing for their lives that the suspect was reaching for a weapon, two officers did discharge their weapon at the vehicle, striking the suspect and killing him." The chase ended near North Shore Middle School. According to Galena Park ISD officials, Havard Elementary School and North Shore Middle School were placed on 'lockout' status. Classes continued as scheduled, but with no one allowed in or out of the building, in an effort to shield students from the police activity. 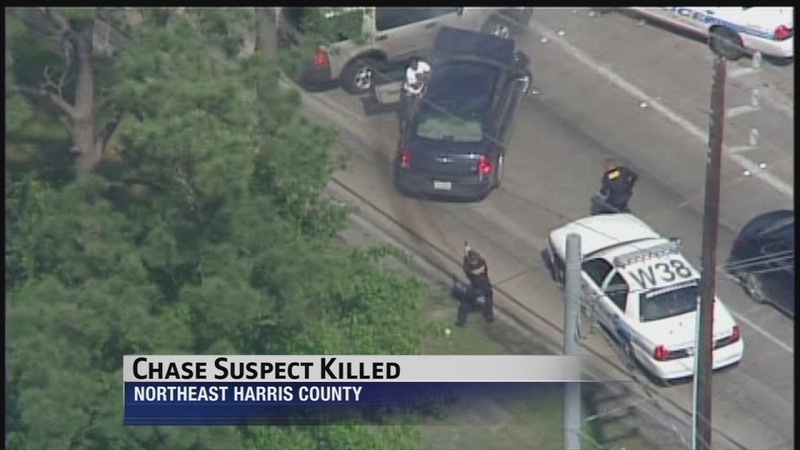 HPD spokesperson John Cannon says two of the officers involved in the chase have been on the force for six years. He identified them as R Gonzales and L Engle. It's not yet known if they were wearing body cameras. They were unhurt. Family members at the scene say Shephard is 41 years old and is the father of three, with another child on the way. They said he was a barber, and a good one. However, court records show he had a troubled past. 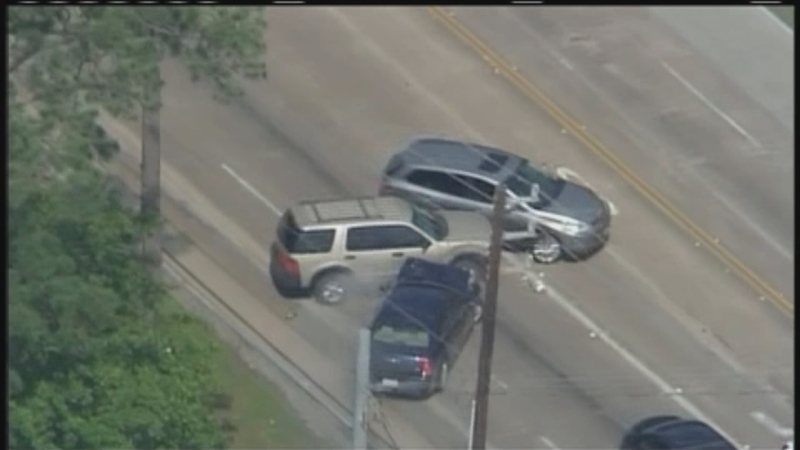 Karla Barguiarena reports on chase in NE Harris Co. The HCSO's homicide unit, the Harris County District Attorney's Office, and HPD internal affairs will investigate the shooting. Andrea Espino was driving the white car that Shephard first slammed into. The 18-year-old was driving to the Galena Park campus of San Jacinto Junior College to attend an EMT class when she crossed paths with the chase. She was taken to Northeast Hospital in good condition and released several hours later. A couple in the second vehicle struck were also hurt, but their injuries were minor. Espino has no memory of the crash. 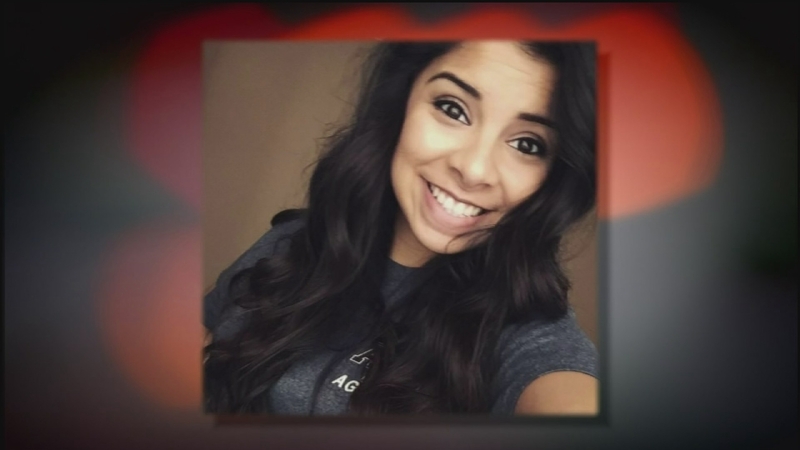 "She wanted to take classes to be a paramedic," said her father Alvaro Espino. "As a matter of fact, this week she was going to start service in an ambulance, as an intern."